My two-year term as Chairman comes to an end shortly, though I’m very pleased to say I am continuing for another term. We’ve achieved so much in this time, but always so many more possibilities! & ensure that the Gatwick Diamond remains this centre of excellence. We held a strategy session recently for the gdb Executive – we looked at how we work now, what are our challenges & opportunities. We know we do networking well – building business relationships. We’ll do more of the same & also try different approaches, to get all members working together. Representing our members, we are the voice of business in the region. We will continue with work with other bodies (e.g. BEIS, C2C, GDI) to contribute to economic strategies. As in all things, communication is key. We’ll plan targeted regional & national promotions. We will connect members, for collaborations & partnership working. We will share info amongst the membership so we all benefit. At our next session, the Executive will explore further how gdb can contribute to issues such as workspace, skills, transport & funding, plus work-life balance, environment & the out-commute. 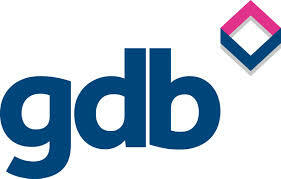 So we will develop the new business plan, for 2023 when gdb celebrates its 70th anniversary! We’ll be doing this with a new Chief Executive as, after 14 years, Jeremy is moving on. We’re planning the transition period to ensure gdb continues to run smoothly. It has been a great 14 years and I’m so pleased with how gdb has become such a well-recognised and respected organisation. I am sure you will join me in wishing Jeremy all the very best! Over the last couple of years we have made real progress with a great team in place, a dynamic membership, as well as more varied and valued services. We look forward to the next exciting stage of gdb’s growth.